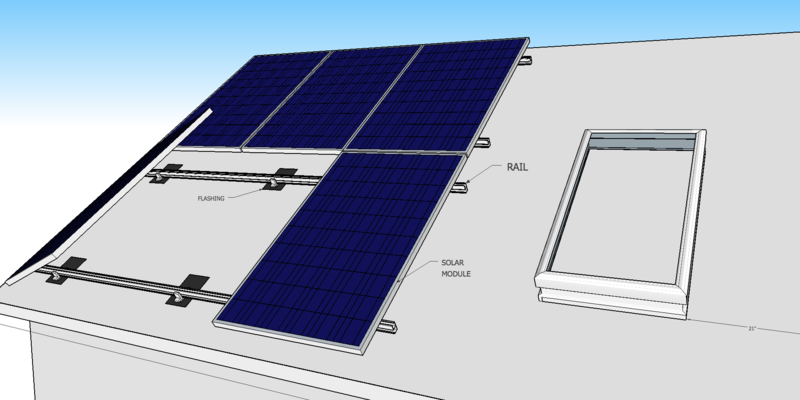 Solar cells in a solar panel/module capture sunlight generating an electrical current. Click here to learn more about Alberta’s solar potential. 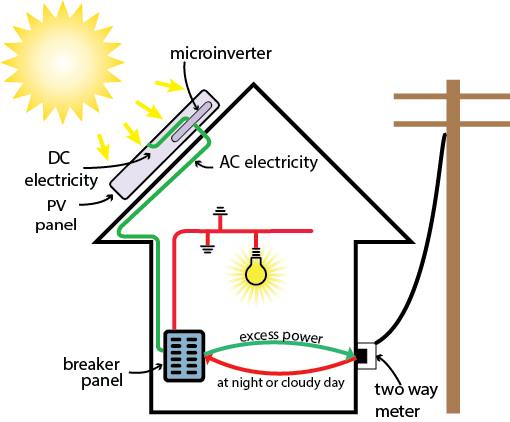 DC electricity generated by the solar panels is converted to AC electricity in an inverter. Inverters located on the roof underneath the panels are called micro-inverters. They process the output of one to four solar panels and allow the output of each panel to be optimized independently of other panels. A string inverter processes the output of many panels and is therefore bulkier and located near the electrical panel that feeds some (or all) of a building’s appliances. The AC electricity from the inverter is transmitted to a building’s distribution panel, effectively reducing the amount of power drawn from the utility grid by the connected appliances. Excess electricity not used in the building is exported to the grid to do useful work elsewhere, like powering your neighbour’s fridge. At night or on a cloudy day appliances draw power from the grid as usual. A two way meter, which will be installed free of charge by your distribution company, measures the amount of energy exported and imported from your building. At the end of your monthly billing cycle your consumption of grid energy is less, and you receive credit for excess energy exported to the grid at the same rate at which you are charged. For example if the cost of energy happens to be eight cents per kWh on a particular month a micro-generator will receive eight cents for every kWh exported to the grid during that billing period. Therefore micro-generators are able to leverage their consumption against rising utility rates without installing batteries. Click here to learn more about the economics of grid-tied solar power. Neighbour Power Inc. Website content including paragraph formatting, word content, and photographs are the property of Neighbour Power Inc. 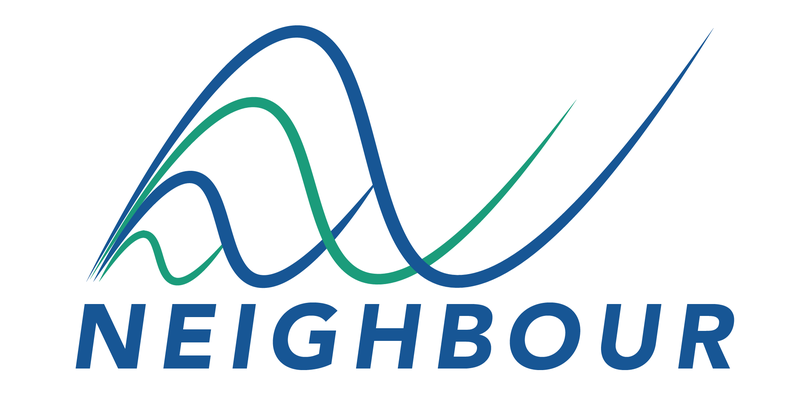 Please email info@neighbourpower.com for more information.